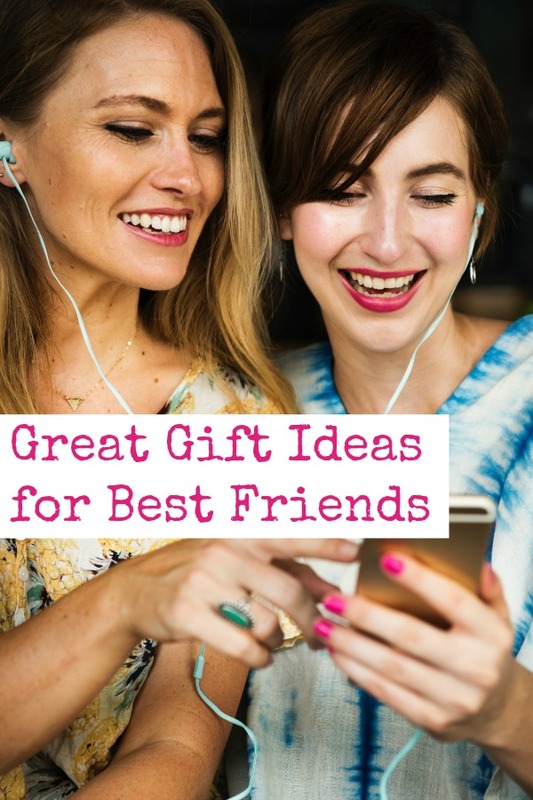 Are you having difficulty coming up with an awesome gift idea for your best friend? You owe them the world, and they’ve been with you through thick and thin. The know your secrets, and you know theirs. And there’s not a doubt in the world that they’d help you move a body. My bestie is a gem. She has to be to put up with me. HA! No, but really. We’ve been friends since 6th grade, and that’s a long freakin time. 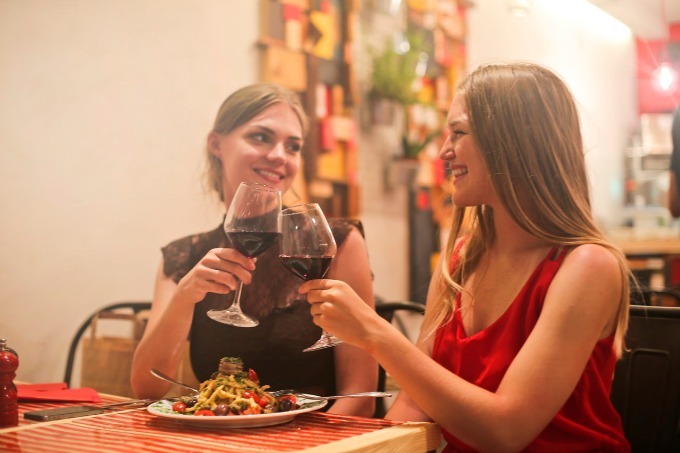 She’s getting ready to become a mom for the first time, so this list of great gifts for your best friends is perfectly timed for Mother’s Day. 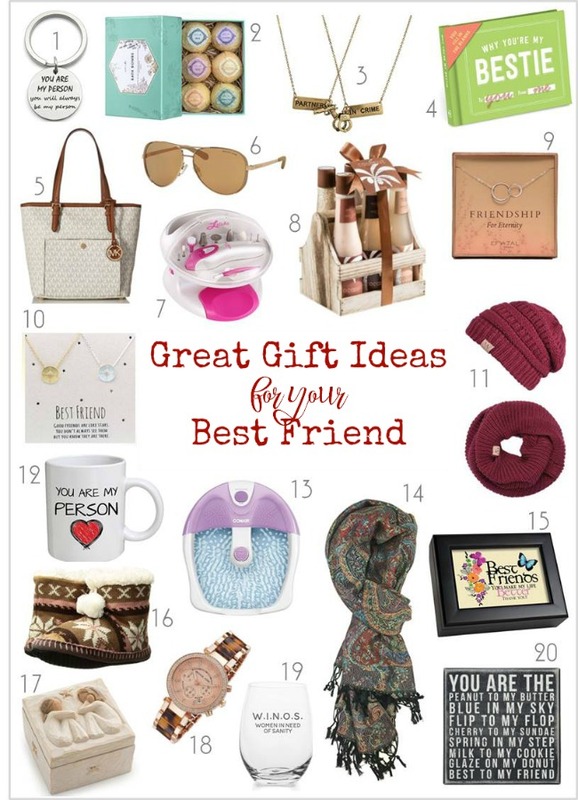 And really, this list has great gifts that just about any woman would want. These gift ideas are all from Amazon, and most, if not all, are available with Amazon Prime. You know what that means – there’s still time to get the perfect gift in time for Mother’s Day! Links may be affiliate links, and we’ll make a small commission if you buy through them. 1 You Are My Person Keyring – You’ve bonded over your love of Grey’s Anatomy. This keychain is a great little thinking of you type of gift. 2 Aprilis Bath Bombs Gift Set – Does she love tossing a bath bomb into the tub and watching the magic happen? Then this set is for her! 3 Partners in Crime Necklace Set – You guys know what you did. That one thing you’ll never tell. Commemorate it with this necklace set. 4 Why You’re My Bestie Fill-In Book – Knock Knock makes some of the best stuff! This fill-in book is no different. 5 Michael Kors Large Jet Set Leather Tote – An amazing bag that’s big enough to tote all her stuff around. She could even use this as a diaper bag. 6 Michael Kors Chelsea Aviator Sunglasses – Everyone needs a great pair of sunnies. 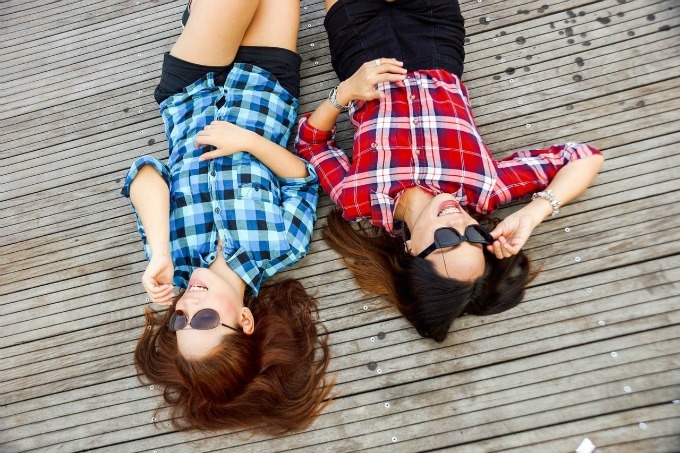 These aviator style sunglasses from Michael Kors will definitely prove you’re her best friend. 7 Electric At-Home Manicure + Pedicure Set – Getting your nails done is such a little luxury. 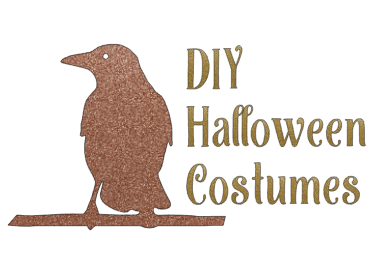 Now, you can have an at-home session! 8 Tropical Coconut Milk Bath and Body Set – A relaxing bath does wonders This amazing set will melt away her stress. 9 Sterling Silver Locking Infinity Circles Necklace – How great is this? So fashionable and stylish, but with a great meaning. 10 Dainty Best Friends Necklaces – They’re like the classic broken heart necklaces, but for grown ups! 11 Slouchy Beanie and Infinity Scarf Set – Help your bestie look good ALL THE DANG TIME with this set. Available in 5 colors. 12 You Are My Person coffee mug – Grey’s Anatomy fans will get this right away! 13 Conair Foot + Pedicure Spa – Let her treat her feet at home. Nothing’s better than a foot massage after a long day. 14 Jacquard Woven Scarf – These scarves are the perfect finishing touch for an outfit, year round. Available in about a bajillion colorways/patterns, too. 15 Best Friends Music Box – Keep your memories together in this music box. 16 Muk Luks Slippers – Keep her feet warm with these adorable slippers. Available in 6 colors, too. 20 Peanut to My Butter Sign – The two of you complete one another. She is the peanut butter to your jelly. There’s something here for just about every person, no matter their aesthetic. Don’t forget, Amazon Prime lets the procrastinators (raises hand!!) order and ship, and still have an amazing gift.